Video: G-Eazy - "Almost Famous"
Today is a good day thanks to G-Eazy dropping his latest visual for the track "Almost Famous." In the video, we find taking us through his career and what he plans to do in the near future with success. 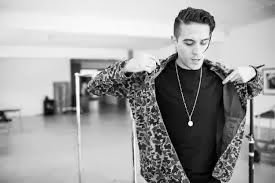 This video was directed by Bobby Bruderle, who creates what I think might be one of G-Eazy's best videos to date. Watch below and check him out on his These Things Happen Tour starting in February.